According to Nielsen, there are more than 14 million people in the US who watch over-the-air broadcast (OTA) television without a cable subscription. These cord cutters gain free access to channels including ABC, CBS, NBC, Telemundo, and the CW with just a tuner and antenna. But there hasn't been an attractive software user interface for true cord cutters. That changed with an update to the Plex app on SHIELD to include Live TV (beta) and DVR. Thanks to Plex’s new live TV capabilities, SHIELD users now have the ability to watch and record free digital broadcast channels using a TV antenna along with a USB or network-attached tuner. Network television shows can be watched at up to 1080 resolution with 5.1 surround sound. And since SHIELD TV can act as a Plex Media Server, you’ll also get the ability to record your favorite shows, movies and sports with Plex DVR. SHIELD supports external storage, so whether you’re rocking the 16GB SHIELD or the SHIELD Pro, replete with 500GB of internal storage, you’re good to go. The latest version of Plex for SHIELD not only adds live TV and DVR functionality directly on SHIELD, it also provides the ability to set up recordings remotely. Meaning you’ll be able to schedule SHIELD to record programs from any web browser. Playback is hosted from SHIELD, so you can watch your shows from anywhere in the world on any of your Plex-supported devices. In order to take full advantage of what Plex can do, you’ll need to get a Plex Pass account (plans start at $4.99 / month, up to lifetime). Once you sign up for a Plex Pass, you’ll be able to watch live TV shows, movies, news, and sports and record them to SHIELD to watch in HD on any device, wherever you are. You’ll also unearth many other premium Plex features such as Plex Cloud, offline playback, automatic photo-tagging and more. Plex’s TV program guide supports channels in dozens of countries and according to Nielsen Media Research, 86 of the 100 most-watched shows in the U.S. are available for free over-the-air. 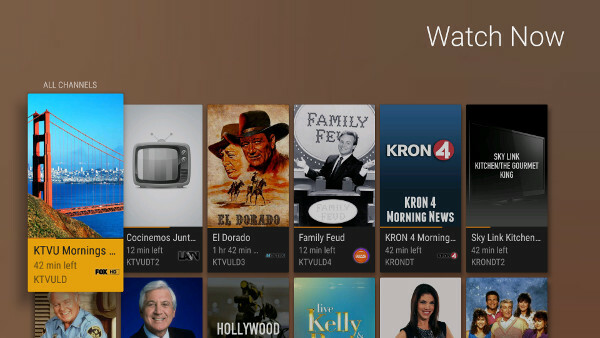 All of the major US networks are available with Plex Live TV. Networks like ABC, NBC, CBS, FOX, and CW. 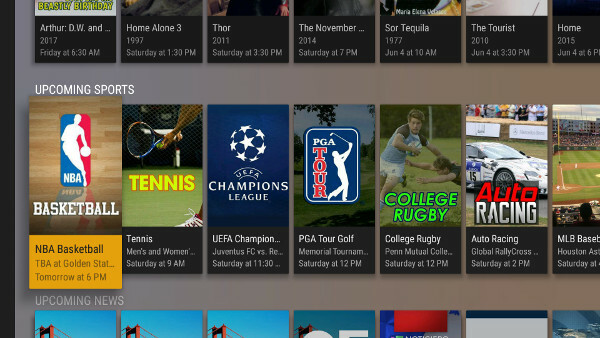 Plex Live TV also boasts international channel support as well. Networks like CBC, BBC, ITV, Telemundo, and Univision. In a world where we always seem to be running out of space on our DVR, no limits on storage sounds pretty good. With Plex’s DVR on SHIELD TV, you have a ton of storage options. You can record directly to SHIELD’s internal storage (including adopted USB storage), record to external USB storage, or even record to your 24TB network storage (NAS) mounted to SHIELD! Oh, and it’s your storage, so no expiration date folks. SHIELD Experience Upgrade 5.2 is required for USB tuner support and the ability to save recorded shows to a NAS. Upgrade 5.2 will be released on a rolling basis in early June starting with SHIELD Preview Program members.